Samsung is reportedly hard at work on a new Surface-style, detachable tablet, codenamed "Nautilus", which will be powered by Google's Chrome OS. What's more interesting, is that Samsung is apparently not aiming for the high-end, not holding back in the hardware department, even when it comes to the camera. That's interesting, considering how Chromebooks have never had great cameras (not that anyone's complaining). According to Engadget, "Nautilus" will be powered by a 7th gen Intel Core CPU, much like the competition from Microsoft, and will also employ a Sony IMX258 sensor in its main camera. That's the same sensor that LG used in the LG G6, which is pretty surprising, considering that Chrome OS-powered devices have never had strong camera game. In fact, the best camera you can find on a Chromebook right now is a 720p shooter with very limited capabilities, notes Chrome Unboxed. Clues about the "Nautilus" tablet have been spotted by ChromeUnboxed in a commit in the Chromium repository. However, there is no info yet as to when Samsung may officially reveal the tablet. CES is just around the corner, but it is somewhat unlikely that Samsung will unveil the tablet then. What can you do with a Chrome tablet? Nothing more than you can do with a smartphone. But Google is just too proud to close this failing project right now, it will drag on a few years until closing, just like Google Glass and the others. "failing project" you say. Chrome OS is growing in popularity and in use. Though not perfect, it has its uses. https://www.pcworld.com/article/3194946/computers/chromebook-shipments-surge-by-38-percent-cutting-into-windows-10-pcs.html Comment typed from my Asus Chromebox. Learn how to read that right with iOS. Chrome OS still strong.
" Chrome OS (Chromebook) device shipments continued to grow, hitting 59.8 percent of the US market, up from 57.8 percent." This quote taken from the very article you linked to. So... is it better to have an android tablet or chromebook? Chrome OS for sure. Android tablet going to an end. With Chrome you'll get support for 6 years! Updates on the background and much more. 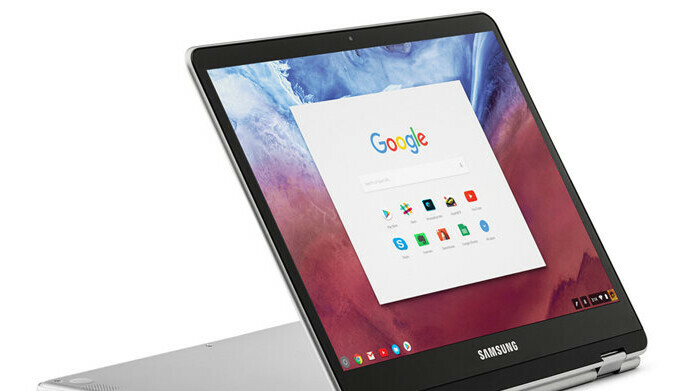 A Chromebook will be more of a personal computer than an Android tablet. With support for Android apps coming to Chrome it will definitely have a new found advantage there as well. But as far as which is better, an Android tablet or a ChromeOS "laptop" that's ultimately up to each ones individual needs and or wants... Cheers. Chrome OS is definitely becoming more useful, and hopefully they continue to improve on it. My biggest gripe with Chrome OS is the file system. It's leagues behind Windows and Mac OS as far as usefulness. The whole experience is internet(chrome browser) and cloud based. Even connecting a printer is not just plug and play. It has to be done through Google Cloud Print. Like I said in post 3 - Chrome OS isn't perfect but I've found it useful. And it really does shine as an internet machine. If if can run Android apps, this could be something! Android Tablets are often too limited in what they can do and Windows is still a mouse-OS and not a touch-OS. For anyone who does not like iOS, this could be the best competitor to iPad Pros so far! Everything for small and average users. And they got really good Leverage on Mac OS and Windows ,search for Pixelbook vs MacBook pro on Forbes. Newer Chrome OS machines run Android apps. You can do just about anything that an Android phone/tablet does plus do whatever you can do on a Chrome browser or using Chrome Apps. I don't get it? Is there even a hint of a market for higher end Chrome devices? What are they used for? 40 tab web browsing? I really like simplicity of the Chromebook but shortcomings of not able to run heavy photo or video editing programs makes expensive hardware pointless. Anything over $750 on Cbook is unnecessary and overpriced in my opinion. totally agree, google is stupid with their pixel books. No infel, put exynos with gigabit lte, lightweight, and great battery life and sold.